Curious what you find in the bottom of your bags -- and maybe keep -- after a trip away. I usually turn up napkins with scribbled addresses and notes, postcards and receipts, fliers from concerts or galleries, and the odd article torn from a local newspaper because it seemed so brilliantly incisive at the time. Mostly I throw such things away after a period of grace, but sometimes bits and pieces go into envelopes and boxes for later consideration, or sink down the midden of life’s detritus. The other day while shifting some things I came upon a very battered cardboard box I hadn’t seen in years. I went through the old street maps, business cards, pub menus and so on and there at the bottom was a small, rectangular tin no bigger than the face of a watch. It had originally been blue but the label had been worn off by the years and there were flecks of rust around the lid. Inside was some reddish brown dust. It was a box of snuff I had bought in London more than 30 years ago when I was there with my father. It had survived various house moves and bouts of spring cleaning, and had now risen to the surface again. 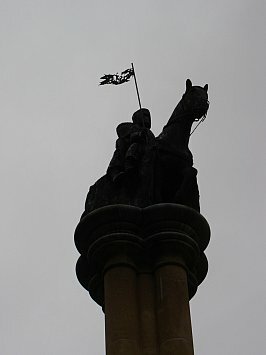 My dad and I had gone to England to see my sister who lived at Cranfield near Luton, and while in London we had gone to the Inner Temple and later I had bought the snuff from an old man in a Dickensian tobacconist shop somewhere near Fleet St. I remembered all this with remarkable clarity as I took a pinch of the ancient snuff. I sneezed, just as I had sneezed -- to my dad’s amusement -- all those decades ago. He found it slightly silly that I should want to buy snuff, but then again he picked up odd things on his many travels. In an age when flying was unusual and smoking was common my dad collected swizzle sticks from aircraft and -- although he didn’t smoke -- boxes of book matches. Our house had a huge bowl of book matches from all over the world, and glasses filled with exotic plastic swizzle sticks from Pan Am and BOAC. I’d only ever read about snuff so bought some out of curiosity and when I got home showed it to my workmates at Forest Products who tried a bit, sneezed, laughed and then forgot about it. As did I. Within a week I threw it in a box and let it lie. Of course snuff -- powdered tobacco which is sniffed into the nose for those young enough to have never heard of it -- was not common in London in the late 60s, and hadn’t been for many decades before that. But there was a time when it was highly fashionable. Snuff had been popular in Europe and Scotland before the English took it up with an almost obsessive passion in the early 18th century. Women as much as men would sniff the stuff which came in many fragrances -- usually created by the blending of various tobaccos but also the addition of scented liquids to keep it moist. Even early last century there were factories in the north of England, and the biggest was in Ireland. Napoleon’s special blend was shipped to him in exile on St Helena from a shop in the Haymarket. The writer HV Morton tells of England’s greatest aficionado of snuff being Mrs Margaret Thompson who, when she died in 1776, left a will directing that she be buried in a coffin filled with her favourite Scottish snuff, and that handfuls of the stuff be scattered on the ground every 20 yards and offered to the watching crowd on her final passage to the cemetery. Snuff has long since ceased to be fashionable -- I guess people got tired of having to buy new handkerchiefs -- although there is some suggestion that with the increasing unpopularity of smoking snuff sales have risen in recent times. What I remember most about buying my snuff was the dark and fragrant tobacconist shop, the day my dad and I spent at the Temple, that night in a pub where I had my first sniff and subsequent sneezing fit, and then a whole lot of other things about that time we spent with my sister, the trip to Edinburgh to see the house I grew up in, the days in Beirut on the way back home, and so much more. I put the tin back among the paperwork and bus tickets. It wasn’t just an old box of snuff, but a repository of memories. 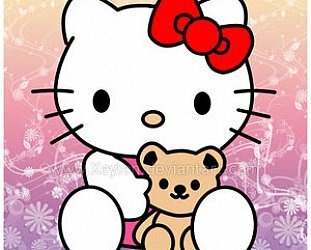 Aah - an example of memory triggered by the senses - very potent. Did you/they get a tobacco rush with it or was it just to show how cool you were if you could ingest it without sneezing? 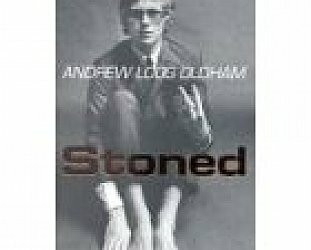 STONED by ANDREW LOOG OLDHAM: Would you let your daughter meet Andrew?